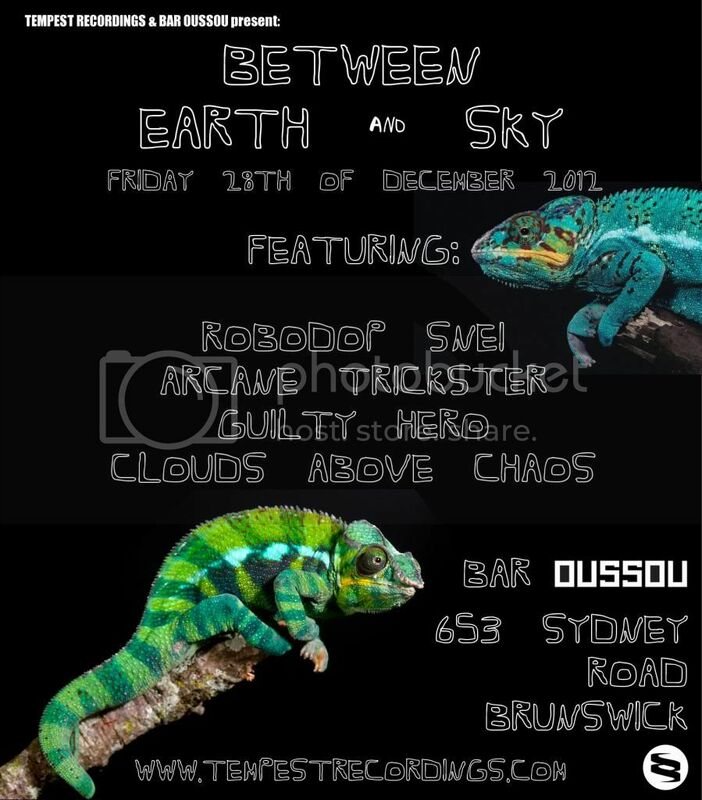 This Friday, Tempest Recordings presents its latest installment of our semi-regular event, Between Earth & Sky, at a brand new venue, Bar Ousoou, 653 Sydney Road, Brunswick. Featuring Tempest stalwarts, Robodop Snei and Arcane Trickster, along with newcomers, Guilty Hero & Clouds Above Chaos, both of whom will be featured on new releases in the new year. It's free entry, from 7pm, come along it'll make you smile! 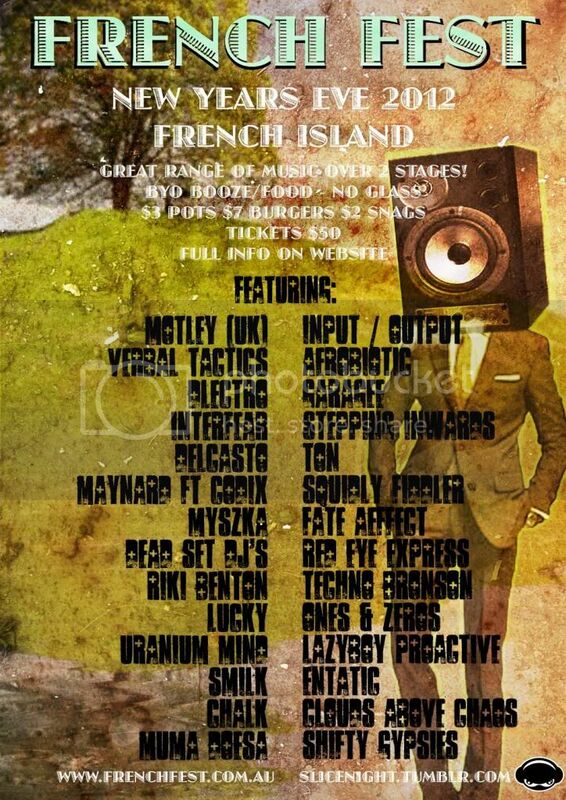 Just a couple of days later, a host of Tempest artists will be appearing at the French Fest, not a festival of all things gallic, but a new years celebration on French Island in Westernport Bay, Victoria. -French Island, located in the western port bay. -It is easy to get there, a Ferry runs every few hours from Stony Point Pier or Cowes pier on Phillip Island. $25 full fare ($15 concession) return for the ferry. -You can get to stony point via train (V-line from Frankston station) which will drop you literally out front Stony Point Pier where a ferry will be waiting! -For those of you who are planning to drive, there is a car-park at Stony Point pier caravan park that we are able to use. Your cars will be secure. -Bring a tent or swag to rough it for a few days, we will have a few sheltered areas away from heat and sun aswell. -Party Staff will be scattered around the party for any problems anyone might have. -BYO alcohol, food and WATER, small BBQ's whatever you would take on a camping trip.. STRICTLY NO GLASS BOTTLES, the owner of the property doesn't want smashed glass all over the place as it is a cattle farm. Easy enough to poor all your straight into plastic bottles and buy cans instead. bottles wont be aloud over on the ferry.